Hello sewing enthusiasts! I hope you had a wonderful weekend and that your week to come is an amazing one! First of all, I must apologize for my quietness last week. I was taking a bit of study leave to complete my studies for my certificate in graphic design. I passed with distinction, Yay for me! And now I have improved on my skills that will allow me to bring you better quality sewing patterns, Yay for everyone! Last week i announced the sewing theme for our February sewing challenge. 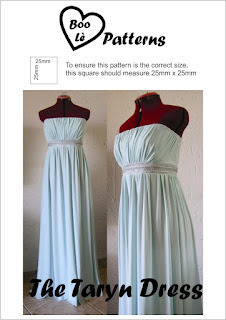 It is “DRESSES”, very simple and easy, and you can make anything as part of the competition from a very simple LBD to a fancy wedding gown, the choice is yours! Remember to look up our previous post on the sewing challenge, so you know the rules and stand a chance to win that cute little Acer Chromebook! Just for you guys I put this romantic little pack together. Remember by buying the entire pack you save money! Our Valentine’s day 2016 pack includes our vintage style knickers sewing pattern (plus the tutorial on how to add suspenders to your vintage style knickers), our ladies thong sewing pattern, and our envelope style gift bag sewing pattern to help you make that romantic day even more special. By the weekend, and just in time for Valentine’s Day, we are going to be launching our Taryn dress sewing pattern. So for the next 5 days you can still take advantage of the PRE-ORDER SALE and by doing so you will be paying almost half price for the pattern and you will be one of the very first to receive it! And because we LOVE our fans so much, those who take advantage of the pre-order sale will receive both the long and short version of the dress! Which means we are quite literally throwing in a free sewing pattern just for the fun of it. So much good news to start a week with, remember to check out our competitions!